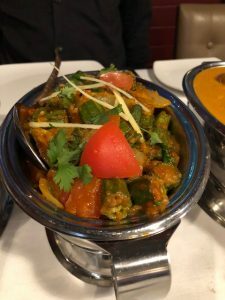 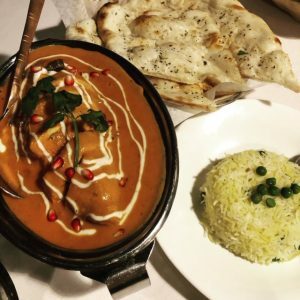 Specializing in traditional Northern Indian cuisine, this 2nd floor eatery boasts a great window view of bustling Robson Street. 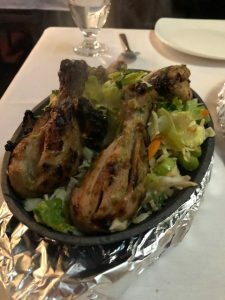 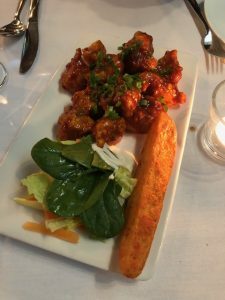 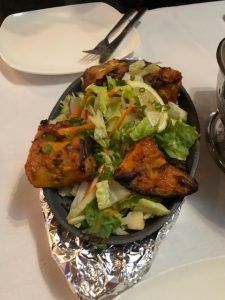 Over a couple of visits I have tried a large part of the menu offering such as the tasty Honey Chicken which had a kick of spice from the appetizers which is best shared. 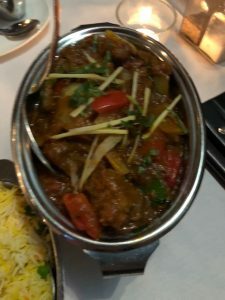 The Exotic Saffron Chicken Curry was delicious and flavourful served with Jasmine Rice and house-made Naan. 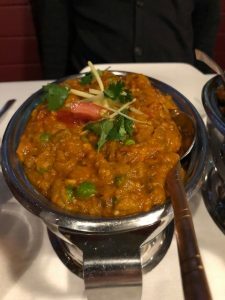 Loved the Smoked Eggplant Bharta charcoal smoked eggplant smashed and cooked with tomatoes, onion, and green peas. 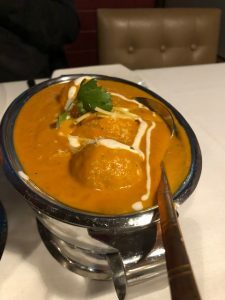 Both the Malai Kofta with vegetable and cheese dumplings in cashew creamy sauce scented with cardamom; and the Okra Masala were tasty dishes. 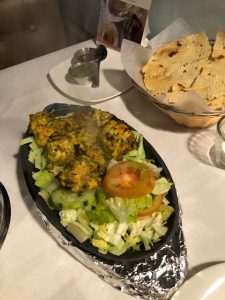 The Tandoor dishes that I tried were all sizzling as they arrived to the table, included the Mustard Chicken Tikka marinated in grounded mustard, yogurt and spices cooked in clay oven; along with the Kalmi Chicken Kebab marinated chicken in roasted chickpea flour and cashew cream cooked in clay oven; and the Fish Tikka Cod fish marinated is spices and yogurt grilled in tandoor. 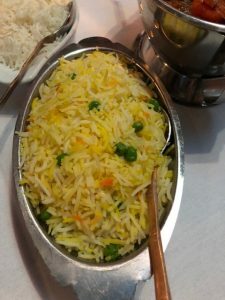 The Saffron Rice cooked with green peas was the perfect accompaniment to the Tandoor dishes, the Pulao rice went well with the curries. 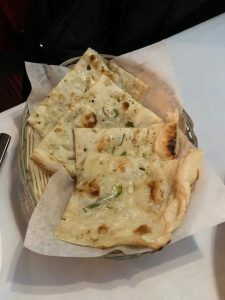 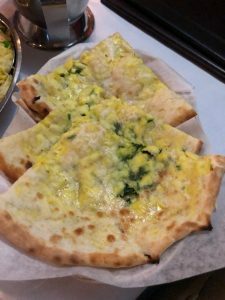 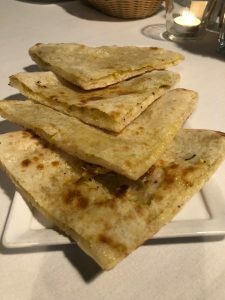 All the Indian breads are good, from the Peshawari Naan a traditional leavened bread stuffed with cashews, pistachio, raisins and coconut; to the Garlic & Basil Naan as well as the Spinach and Cheese stuffed Naan. 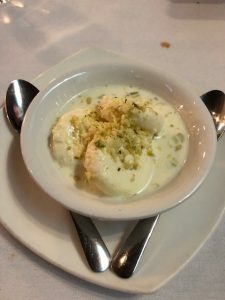 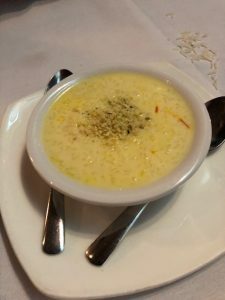 I’ve had a couple of their desserts, having the same ones one each visit, the Kheer (rice pudding) always delicious along with the traditional Ras Malai. 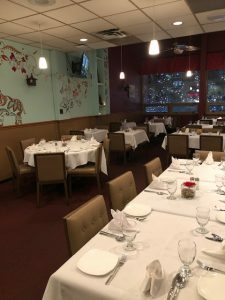 They offer up a good selection of wines, beer as well as cocktails. 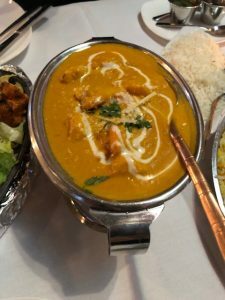 Take friends, take family and truly enjoy the wonderful Indian specialties.